Improvements to three of the borough’s heritage sites have been officially acknowledged by Historic England in their annual risk register. The Historic England risk register looks at heritage sites at risk across the country and grades them on their condition. One of the borough’s sites has been removed from the list completely and, thanks to partnership working between Wigan Council, private investors and community groups, two further sites have been downgraded. Leigh Spinners Mill has been graded as ‘priority D’, which means there is now an agreed strategy in place for its regeneration. Haigh Hall has also improved to ‘fair’ status. St. Paul’s Church in Goose Green has been removed from the list. Coun Terry Halliwell, Wigan Borough’s heritage champion said: “It’s absolutely fantastic news that our hard-work has been recognised by Historic England. We’re continuously looking at ways we can improve our buildings and look to find support from investors and the community to help us reach our goals. The news comes as the town hall prepares its very first ‘Historic Environment Strategy’, which will lay a foundation for the management and celebration of heritage sites across the borough over the next five years in a bid to further improve and restore the borough’s heritage. Although in the early stages, Wigan Council has already put the wheels in motion as they remind landlords and building owners on King Street and Wallgate in Wigan town centre that their properties lay in a conservation area. 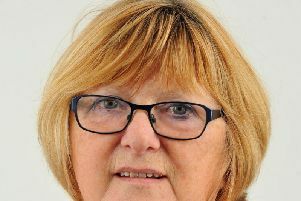 Coun Halliwell added: “Many people who own properties and buildings here might not know they actually lie in a conservation area, which means they might need more permissions than normal to carry out works or advertise. For more information about the borough’s conservation areas, please visit www.wigan.gov.uk and search ‘Conservation Areas’.